The Entertainment Nation team are here to make your dream wedding come true! 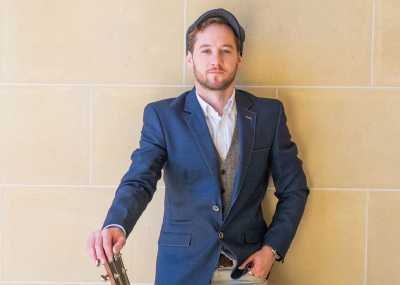 Book a talented wedding acoustic guitarist and bring the feel-good vibes popularised by the likes of Ed Sheeran and George Ezra to your big day. We only represent the most talented and professional musicians, so when you find a wedding guitarist for hire on our roster, they've got the know-how to fill your dance floor and pour on the romance! Lifting spirits with their vocal harmonies and jamming down with intricate finger-picking, these artists are a first-rate choice! 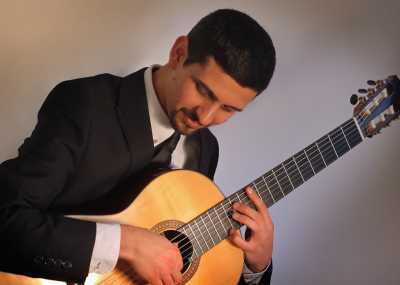 A wedding guitarist singer remains a popular choice for thousands of couples every year - and it's easy to see why when you hire a wedding classical guitarist with the Entertainment Nation team! 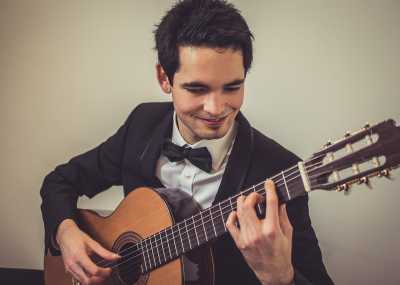 With the versatility to perform covers of everyone's favourite pop and rock songs as well as deliver tender instrumentals and romantic ballads, a wedding guitarist can provide the soundtrack to your entire day, from the ceremony all the way to the evening reception! 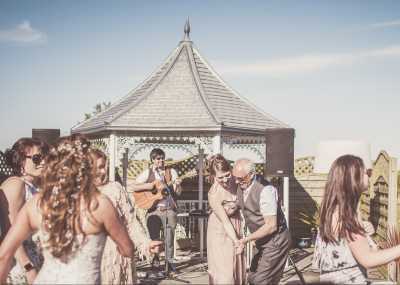 Wherever there's a wedding guitarist needed, our team are here to help! Give us a shout today by phone, e-mail or live chat through the site, and we'll be more than happy to give advice, recommendations and tips on matching you with a guitarist you'll love. Otherwise, dive into the artist's profiles, where you can hear and watch our acts play to your heart's content! Why Hire a Wedding Guitarist? If you want to add some pizzazz to your wedding day, we can't recommend live music enough, but this doesn't mean you need to go all out with a full show band - a wedding reception guitarist will have the versatility to perform throughout the day if need be, with instrumental renditions of classic songs, ballads, and lively numbers to both pour on the romance and get your friends dancing. Some of our guitarists also employ loop pedals to play back their own music as they perform, which makes it sound like a whole band has taken to the stage! A guitarist will probably find it easier to rehearse your requests too, meaning you could be more likely to hear more of the songs you love! How Much Does a Wedding Guitarist Cost? 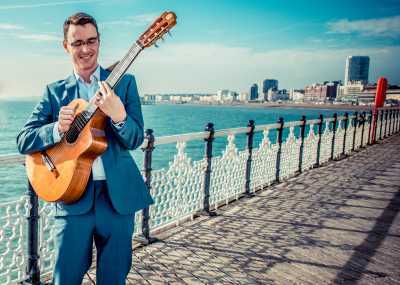 Wedding guitarist rates vary depending on the distance the artists have to travel, any optional extras you specify, and how in-demand they are! 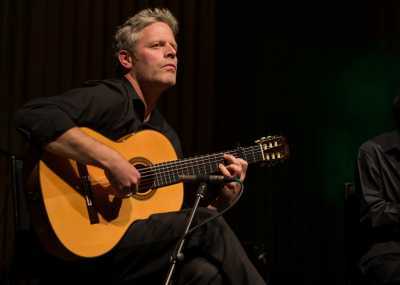 Prices are generally much lower than larger acts - for example, a professional, top-quality solo guitarist will vary on average between £100 to £500, making them one of the most affordable artists you can hire. 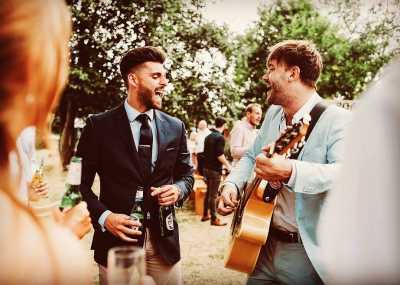 All our solo guitar singers for weddings have been hand-picked by our industry experts, so you can rest assured you're getting a top performer no matter who you choose. 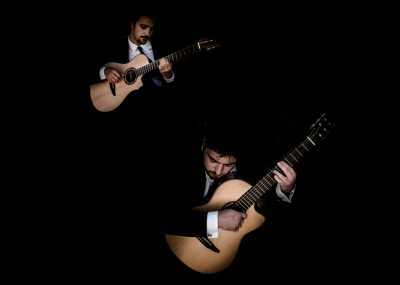 What Will a Wedding Guitarist Play? A variety of songs works best to put you and your audience in the right mood, and depending on whether you order a wedding ceremony guitarist or one who will play throughout the day you can expect very different set lists! Great songs for your ceremony will be those that add some elegance and romance, such as classical music or instrumental arrangements of a special song you and you partner love. Chilled-out "live lounge" style music is perfect to play during your wedding breakfast or afternoon reception - this helps your guests loosen up, get chatting, and really enjoy the occasion. For your evening party, a guitarist who can employ a loop-pedal to layer up some pop and rock tunes will get your friends and family on the dance floor for a night they won't soon forget! You can be as creative as you like - we've got guitarists of every variety, letting you chill with mellow and soulful pop tunes or wear your soles out to some boisterous bluegrass stomps! All our solo guitarists for weddings have years of experience and know exactly how to gauge your crowd and play songs that get them in the right mood. Many will learn your first dance as part of their booking fee and will consult with you on a set-list from their broad repertoires to play songs you love! 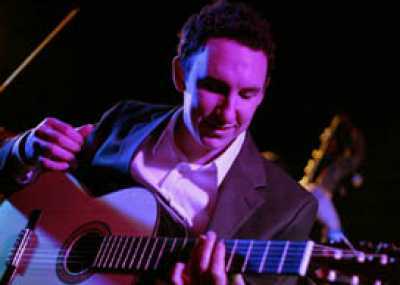 What's Included When You Hire a Wedding Guitarist? 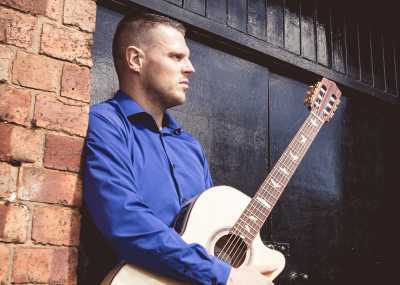 The best way to find out what's included with a wedding guitarist is to read each individual profile - every artist's offering is slightly different. 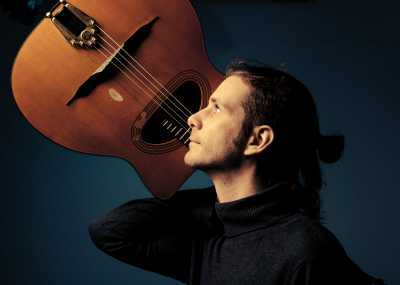 Typically, a solo guitarist will play acoustically, but there is the option for amplification or a PA system if they're playing for larger crowds. Some artists will also supply lighting equipment, recorded music for between their sets, a loop pedal for richer, layered songs, and many will learn one or more of your favourite songs included in their booking fee - your first dance song, for example. Be sure to check out your chosen artist's optional extras to find out what can be added - such as additional musicians, singers, sets, and even DJ services! "Will I find a wedding guitarist near me?" we hear you ask. The answer is a resounding yes! Here at Entertainment Nation we cover the whole of the UK, Europe, and further afield. 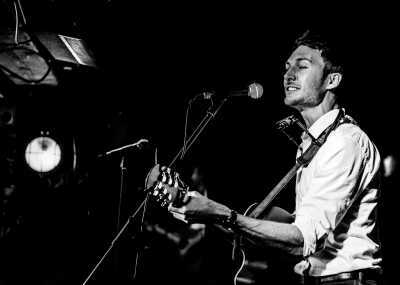 All our UK and international acts travel, and you can easily find a great choice of nearby wedding guitarists and singers to play at your venue. Drop us an enquiry form through the profile of the band you love to start the booking process.